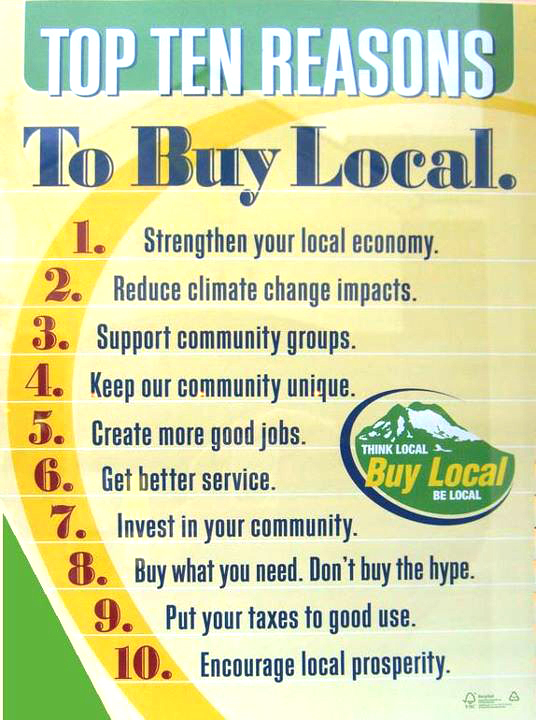 Buying local products is a powerful choice consumers can make in their everyday lives to contribute to the revival process of our green planet that we have disrespectfully exploited for hundreds of years. 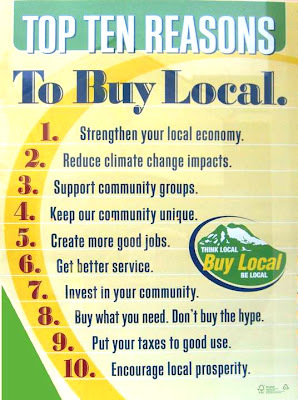 Buying local products will benefit our economy, reduce pollution and create jobs amongst many other benefits. Check the packaging of the product you intend to buy. Where does it come from and how was it transported to your country? Check the producers' websites and find out where their plants are located. Go to farmer's markets and buy local food and fruits that have not had to travel thousands of miles contributing to air pollution to get to your plate. Buy seasonal fruits and vegetables that were grown and harvested in your own country. If you do choose a foreign product, inform yourself about the production methods and treatment of employees. Does the product stem from organic farming? Does it have the Fair Trade logo? 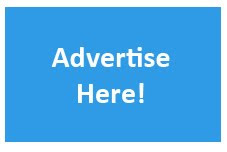 Does the company mention anything about sustainability on their website? Inform yourself well about the technology they use and the included chemicals. Keeping your eyes wide open and informing yourself about every step companies take makes you a good consumer. Be a Wise Consumer, Be Smart, Be Eco-Friendly.